The campaign to reshape and repeal health care reform is just starting. Will Obama's landmark achievement survive its second year? In the nearly 10 months since the Democrats' health care bill became law, bureaucrats have been feverishly writing new regulations, and the first wave of reform has arrived. There are tax credits for small businesses to cover employees; kids can stay on their parents' policies until they are 26; co-pays for preventive care went away. But to most Americans, the enactment of the Patient Protection and Affordable Care Act has felt less like the dawn of a new era and more like the start of a long partisan war over whether reform should proceed at all. The new Republican majority in the House of Representatives was scheduled to repeal the entire health reform law on Jan. 12. Incoming House Speaker John Boehner canceled the vote in light of the assassination attempt on Arizona Rep. Gabrielle Giffords, but the chamber is expected to repeal the law on Wednesday, January 19. If (as expected) the Senate does not follow suit, the House will then try to dismantle it "piece by piece," in the words of Michigan's Fred Upton, the new chairman of the chamber's Energy and Commerce Committee. "We'll see if this thing will crumble," he says. Elsewhere, lawyers are challenging the constitutionality of central components of the law in federal courthouses and are likely to carry their arguments all the way to the Supreme Court. Republican governors are proceeding in kind, supporting those lawsuits and resisting the law inside their state borders, even as they take the millions in federal funds that come with it. While wholesale repeal is virtually impossible, there is no guarantee that the shaky coalition Obama glued together to get the landmark bill passed last year will hold. In the midterm-election campaigns, Democrats found themselves under fire for backing a new expansion of federal entitlements. Some of those who expect to face tough contests in 2012 may decide to hedge their bets on subsequent votes to defend or dismantle the law. One House Democrat, Dan Boren of Oklahoma, has already said he is "inclined to support the repeal." Physicians' groups, hospitals, insurers and drugmakers, which reluctantly got behind the measure last year, will stick with the law only if its implementation appears to be stable and predictable. Major legislative revisions, which are not impossible, may cause their support to evaporate. It is almost certain that the law will be changed before the 112th Congress adjourns next year. How much? History may be a useful guide. The creation of Social Security in 1935 and Medicare in 1965 spawned lawsuits and promises of repeal too. Yet in the years that followed, neither program was scaled back. Both, in fact, were greatly expanded. Here's a look at the war on health care reform  and the fronts on which the battles of 2011 will be fought. Will they whack it back? Obama said the day after the midterms, "I think we'd be misreading the election if we thought that the American people want to see us for the next two years relitigate arguments that we had over the last two years." But that is exactly what congressional Republicans plan to do even if their tone may be less contentious in the wake of the Giffords shooting and President Obama's well-received call for a more civil discourse in politics. New majority leader Eric Cantor has already unveiled a leadership-backed bill to repeal the Affordable Care Act (which the bill refers to as "the job-killing health care law"). A repeal vote would be chiefly symbolic, since it is likely to stall in the Senate. But it is an important signal from the GOP leadership to the Tea Party movement, as well as a harbinger for 2011. As Boehner put it, "There's a lot of tricks up our sleeve in terms of how we can dent this, kick it, slow it down, to make sure it never happens. And trust me, I want to make sure this health care bill never, ever, ever is implemented." More likely, Republicans will work over the next two years to sand down what they see as health care reform's most objectionable provisions. Targets may include the new requirement that businesses with 50 or more employers provide health benefits or reform's massive cuts to Medicare. On other priorities, Republicans may even find an ally in the White House, which has done its own share of sanding, issuing waivers to exempt certain insurers from new regulations and making it easier for some businesses to evade new rules. There is bipartisan support to repeal a provision requiring businesses to file tax forms for vendors from whom they purchase at least $600 in goods or services. And less than two weeks after news broke that the Administration was quietly enacting a Medicare regulation to compensate doctors for end-of-life care counseling, which spawned lies about "death panels" in 2010, the Department of Health and Human Services (HHS) panicked and quickly abandoned the idea. In addition to actual legislative attempts at change, a round of high-profile show trials is also in the works. Republican-controlled committees in the House are expected to summon Obama aides frequently to testify about implementation plans (which will, if nothing else, give Republicans a chance to suggest that health care reform will drive up costs and lead to rationing). Meanwhile, Representative Darrell Issa, who now heads the House Oversight Committee, has signaled that he may investigate the Affordable Care Act, including deals the White House cut with the pharmaceutical industry, among others, during the reform debate. 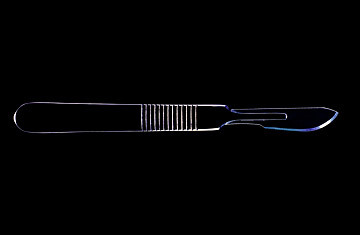 See the top 10 medical breakthroughs of 2010. Read about Donald Berwick, Obama's controversial Medicare chief.